Eurogamer shared the news that Sinner: Sacrifice for Redemption, the boss battler from publisher Another Indie and Dark Star Game Studios, scored a massive content update with extra game modes, a new boss, and more weapons on Feb. 19, on all platforms alongside its PC launch. At launch, the game featured eight boss battles, each inspired by one of Adam’s past sins. 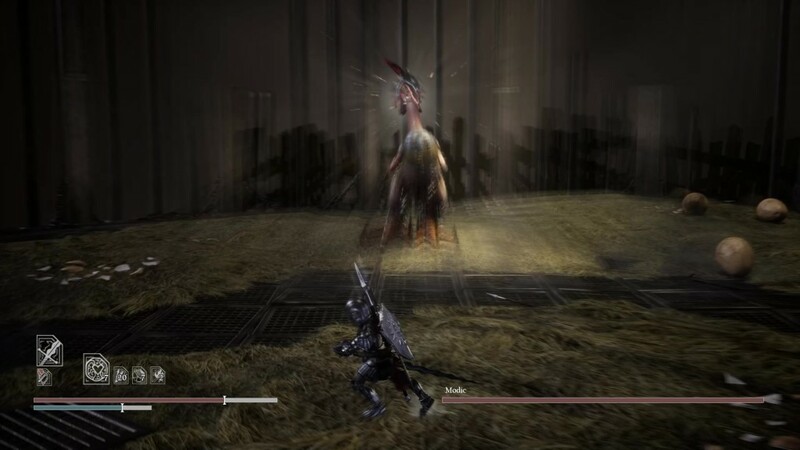 However, when Sinner: Sacrifice for Redemption’s free update arrives in February, the game will gain one additional boss in the form of the Cowardly Modic, a giant, armoured chicken. Defeating the creature will unlock some additional update goodies: two new weapon sets based on other bosses’ kits, which appear to consist of twin swords and a sword and shield. Read the full article on Eurogamer. Sinner: Sacrifice for Redemption‘s new content releases on Steam, Discord, Nintendo Switch, PlayStation 4, and Xbox One on Feb. 19. For more info on Sinner, visit the official website, check out the Another Indie Discord or follow the game on Twitter and Facebook. This entry was tagged action, adventure, Another Indie, Boss battler, Boss Fight, Content Update, Dark Star Game Studios, Discord, Eurogamer, Game Informer, Giant Chicken, indie, indie game, indie games, Matt Wales, Nintendo Switch, pc gaming, PlayStation 4, PS4, Sinner, Sinner: Sacrifice for Redemption, steam, Stride PR, switch, update, video game, video game pr, video game pr agencies, video game pr agency, video games, videogame, videogames, xb1, xbox one. Bookmark the permalink.